The Roubaix was designed with the goal of creating one of the lightest aluminum race bikes on the market. With a frame weight of 1090g it sits in an elite class of aluminum road bikes. Svelte as it is, the Roubaix doesn't sacrifice strength or stiffness to be a featherweight. With it's lightweight and superb ride quality the Roubaix is here to change your perception of what an aluminum race bike can be. 20.25 lbs. / 9.19 kg. Fuji's geometry charts are for reference only. 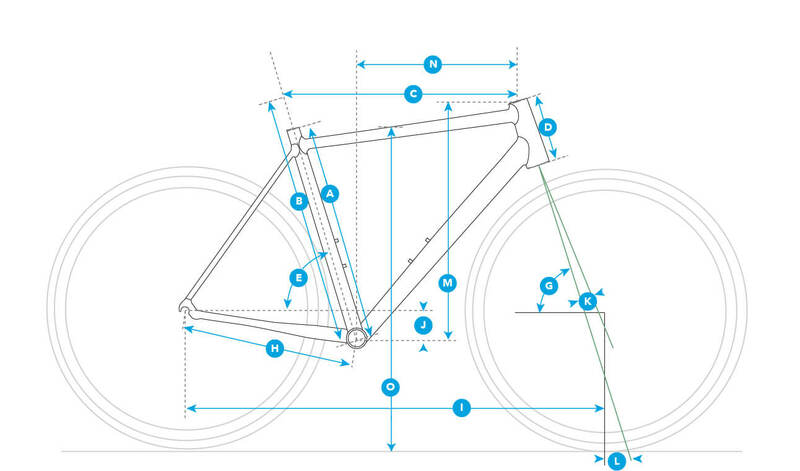 To ensure correct sizing please visit your local authorized Fuji retailer for a bike fit and a test ride.